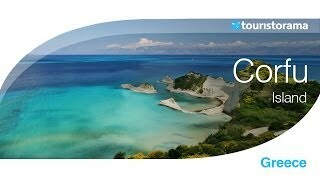 Kefalonia (or Cephalonia) has a genuine Greek feeling, covered with olive trees and surrounded by breathtaking beaches it offers both the ideal summer holiday scenery but also hotels and restaurants of fine quality. Although Kefalonia has been devastated by the earthquake, it has stood up and now is one of the premier destinations in the Ionian Islands. Recent Mycenaean findings on Kefallonia indicate that the island was powerful at the time. It was conquered by the Romans and then was part of the Byzantine Empire. It was also conquered by the Venetians and a few years by the Ottomans and French. Kefalonia was part of the British protectorate in the Ionian Islands until 1864 when it was united with Greece. During the Second World War, Italians occupied the island until 1943 when the Germans occupied Kefalonia after a long battle with the Italian soldiers who wanted to return home. Five thousand of the nine thousand surviving Italian soldiers were executed as a reprisal by Germans. Cephalonia suffered also by the Greek Civil War and peace did not come only after 1949. In 1953, the island was struck by a great earthquake that destroyed almost all of it. The recent history of the island inspired the novel and then to become a movie “Captain Corelli's Mandolin” filmed here. Cephalonia or Kefalinia as it is the island’s formal name spans an area of 781 sq. km. with a total population of 36.404 residents. It is the largest of the Ionian Islands. 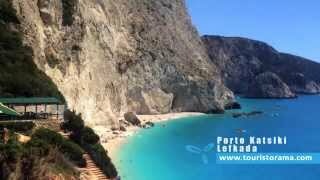 The islands closer to Kefalonia are Lefkada on the north, Ithaca on the east and Zakynthos on the south. Argostoli lost is Venetian-style charm in the earthquake of 1953 but it is still a lively place full of tourists, with many options in accommodation, restaurants and nightlife. Fiskardo on the north of the island was the only village that escaped from the earthquake and is a fine example of Ionian architecture and style. It is very popular and visited also by many yachters. The small village of Assos and its Venetian fortress offer great views, while one of the most famous beaches of Kefalonia Myrtos Beach lies 8 km further. Its card postal beauty of white sand and turquoise sea waters is stunning and is worth a visit. The most important local product is olive oil, with over one million olive trees covering almost half of the island's area. The village of Kourkoumelata in Kefallonia is one of the most beautiful on the island. Its gardens and neoclassical buildings are sights worth seeing themselves indeed, and they attract many tourists every year, especially in summer season. 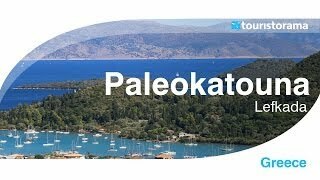 The village of Peratata belongs to the municipal unit of Livathou and is located in the southern part of the island of Kefalonia. It lays at the foot of a hill, on top of which there is St George Fortress. Poros is a small picturesque city harbor in Kefallonia, with various restaurants and bars. It connects the island by boat to Killini, Zante Zakynthos and Ithaca.